Not everyone can say they have met a centenarian in their life time. But for local Emu Plans artist, Georgia Moore-Garland, not only did she have the opportunity to meet 100-year-old Tom Aplin, she also got to capture his life with her paintbrush. “It was nice, I got to go out to his nursing home and meet him and learn about his life and what he has done and achieved,” she said. 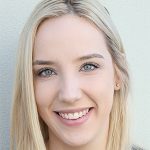 Georgia is joining 99 other young artists around Sydney who are taking part in The Centenarian Portrait Project by Teenagers, a community arts program that promotes inter-generational friendships. Created by the not-for-profit organisation, Embraced, Creative Director Rose Connors Dance said the idea was born in Berlin after her own personal experience. “I realised that I had been engaging with people under the age of 35,” she said. “So I signed up for this program called friends of old people, which matches up young people to lonely seniors and the experiences that I had visiting this 86-year-old lady were just incredible. 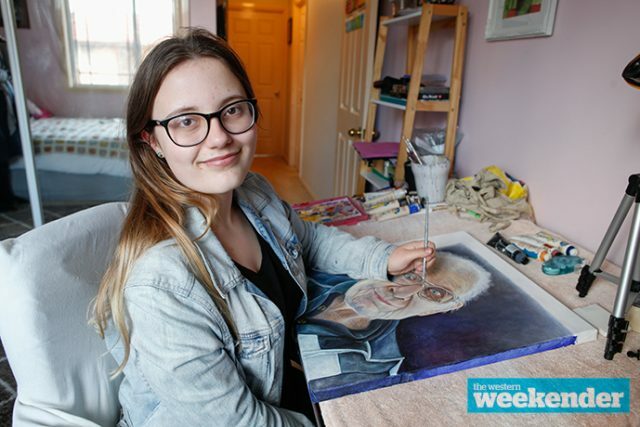 Working on her portrait since July this year, the St Marys Senior High School student has spent her nights using acrylics to convey what 100 years of life looks like. And while she is still completing the piece, Georgia said she was looking forward to presenting it to Mr Aplin’s family after it’s displayed. ‘100; a celebration of Sydney’s oldest residents’ will be on display at The Studio in Rosebery from September 29.